An engine is part of every car and truck on the planet. Whether the engine is gas powered or electric your vehicle would not move if not for the engine. Gas powered engines come in two varieties, gasoline or diesel. Both are remarkably similar with the only real difference being the compression ratio and the ignition system which ignites the fuel inside the combustion chamber. Let's start deep inside the engine at the heart of where the power is made, the combustion chamber. This chamber is made up of a piston, engine cylinder encapsulated within the engine block, a cylinder head along with intake and exhaust valves. While the piston is headed downward in the cylinder a charge of emulsified fuel is sent into the combustion chamber via the fuel injector. 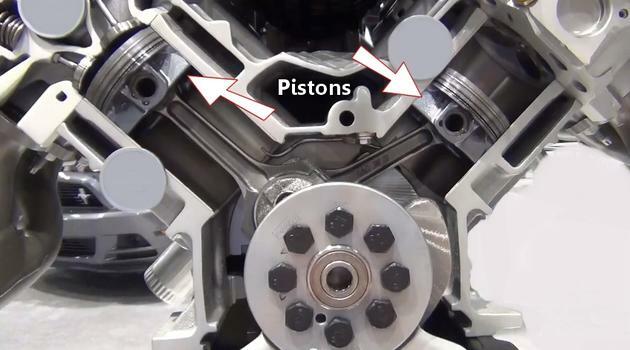 Once this happens the piston will start to travel upward in the cylinder bore while the intake valve closes. 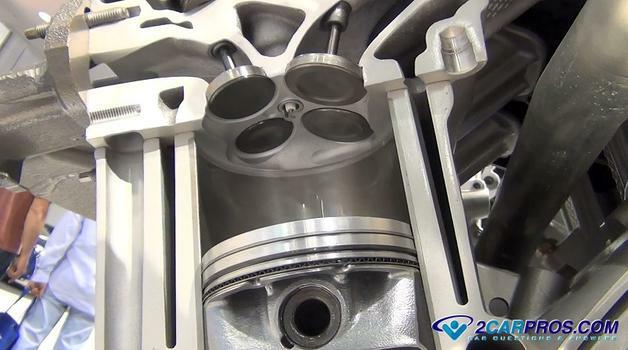 This seals the combustion chamber so the piston can make compression as it heads upwards which is then ignited by the ignition system when the piston is near the top of its travel. This causes the fuel/air charge to ignite causing an explosion which drives the piston downward which creates the power. In the guide below we will show you each piece of the engine and how the power is delivered to the transmission which is then connected to the rear or front wheels. Here is a video of an engine in action so you can get an idea of what goes on inside the engine while it is running. 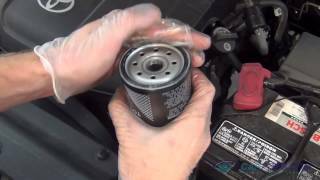 This video shows each cycle of the process; intake, compression, combustion and exhaust. It takes the piston two upward and downward strokes to complete a cycle which is why we call it a four cycle engine. The engine deals with an incredible amount of force and heat with each thrust of the piston. There are several supporting systems that must be in good working order such as the oiling and cooling system to keep the engine going. Also, there is a variety of fast moving internal moving parts that are put through the stress and strain of being pushed and pulled at extreme pressures. 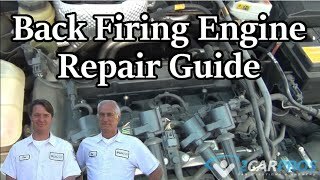 When there is a minor internal problem such as with a valvetrain parts such as a cam follower it could result in a ticking or clicking noise along with a cylinder misfire. 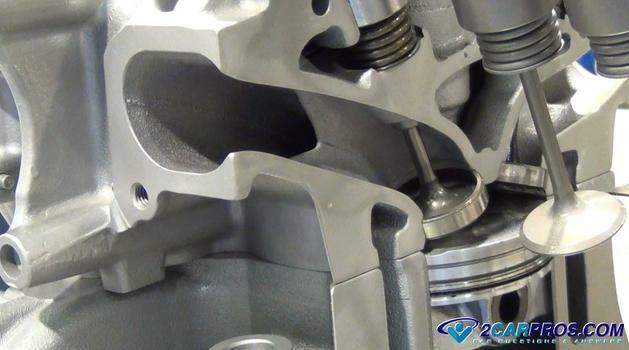 When more extreme failures occur such as a piston or rod failure it can cause the engine to have a more serious problem such as major vibration or the engine will lock up entirely. When an engine fails there are three ways to address the problem all in which will have difference costs associated with them. When the engine has a problem the first step is to assess the damage and what possible scenarios could accompany such repairs. For example; the engine has dropped a valve seat from the cylinder head and it has caused a valve to stay open which then contacts the piston. One diagnosis could be to remove the head and fix the valve. The additional repair that should be thought of is what about the piston it contacted and to what degree of damage did it cause? In some cases there is minor damage which will cause no further problems while in other cases the ring has been compromised on the piston which will require further disassembly to fix with an additional cost as well. If the engine has simply worn out or is damaged to the point of replacement then a new, rebuilt or used engine can be installed. These costs will dramatically vary due to manufacturer and how together the engine is when it arrives for installation such as intake and exhaust manifolds. For a typical car engine replacement you can expect to pay between $1,400.00 to $2,500.00 (US) for labor and between $2500.00 and $5,000.00 (US) for a factory rebuilt engine. 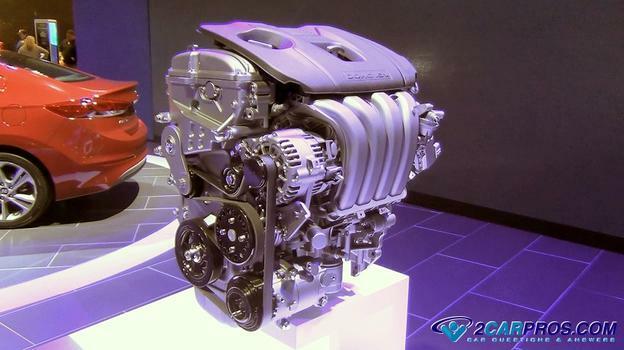 Used engines will cost less between $800.00 and $1,800.00 (US). If you decide to go with used the labor the remove the engine in case it is defective is generally not covered so it's a good idea to get an engine with low miles on it. In the image below is a combustion chamber (cutaway) and is where the fuel air mixture is compressed and ignited. In the lower center you can see the piston and piston rings as they travel upward and downward inside the cylinder bore. The intake and exhaust valves are in the upper section along with the spark plug electrode which is where the spark is generated for ignition of the flammable air/gas mixture. This is also a good look at the intake and exhaust valves and ports. 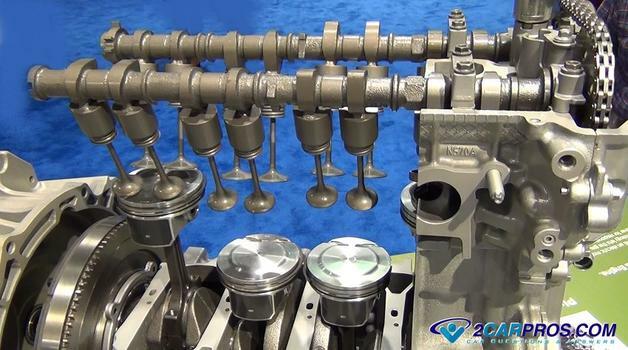 Many engines have two intake and two exhaust valves to help the engine's performance. Here is a cutaway image of a V8 engine that shows how the pistons are attached to the crankshaft which rotates inside of the engine block along with the cylinder heads bolted to the top of the block deck. A straight six, five or four cylinder has just one cylinder head. 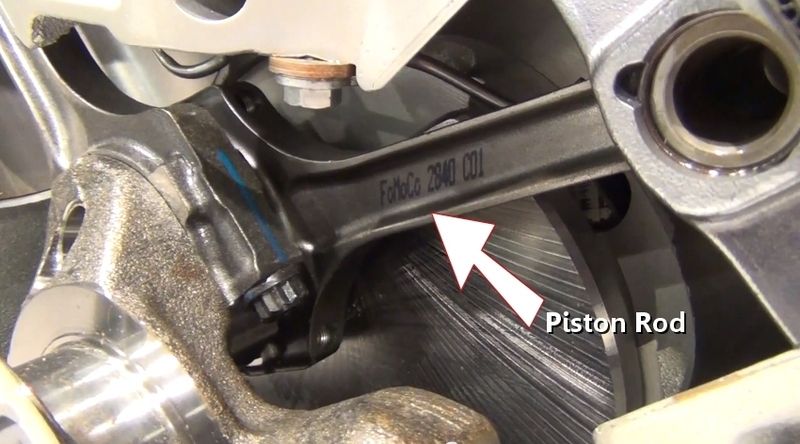 In this image we show how the piston is attached to the crankshaft using a piston or connecting rod. This rod has a cap located at the bottom of the rod which splits into two pieces so it can be bolted to the crankshaft using two rod bolts. (It is difficult to see the line where the rod cap separates.) This is were the rod bearing is located which allows the crankshaft to turn while being oiled by the oil pump and oiling system. At the top of the rod there is a wrist pin that is located through the piston and can pivot near the bottom of the piston body. 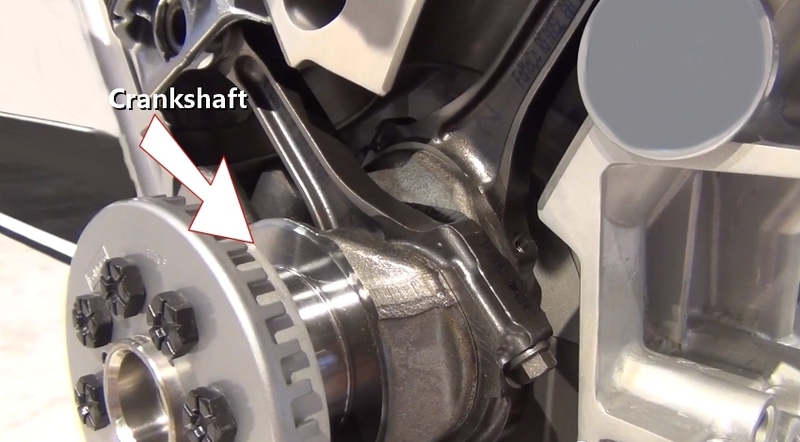 The crankshaft is where all of the pistons and rods are connected too and is the part that is bolted to the flywheel and transmission. All of the power the engine creates is transmitted though the crankshaft which sits in the lower middle of the engine block. It is held in place by the use of main bearing caps that are bolted to the block which house the main crankshaft bearings. These bearings are also lubricated by the engine oil and the oiling system. The front of the crankshaft protrudes outward from the engine to provide power to turn the cars accessories such as the alternator, water pump and air conditioner. The rear of the crankshaft exits the back of the engine to connect to the flywheel and then the transmission to provide power for the car. Oil leaks are controlled by a front main seal and a rear main seal. 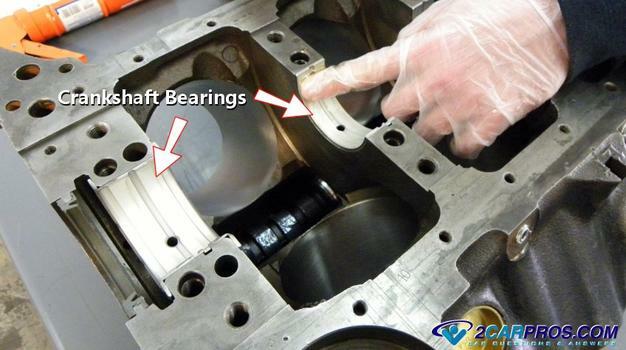 Here are what the engine main crankshaft bearings look like when the crankshaft is removed. In the image below is an example of one half or the bearing. The remaining half is located in the bearing cap which bolts to the engine block. The piston rod bearings look the same except they are a little smaller in size. 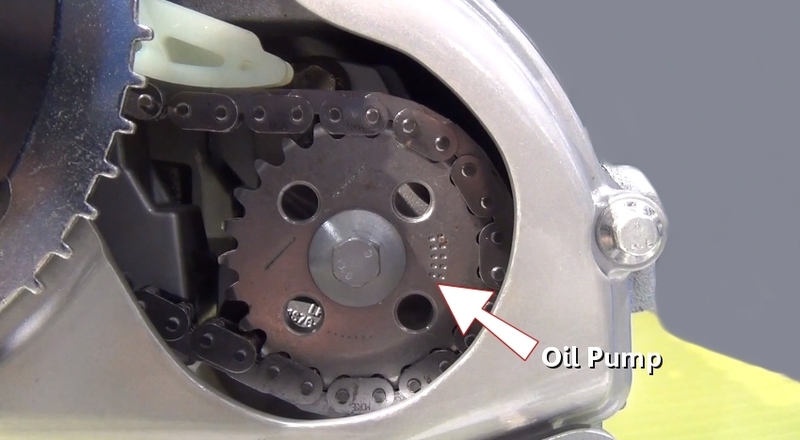 You can see a hole in the middle of the bearing which is where motor oil is provided for lubrication. A camshaft is a long cylindrical metal shaft that is made with very specific lobes that are designed to open and close the intake and exhaust valves which are in time with the piston position. This shaft is located in the cylinder head or engine block depending on the engine's design. This important part of the engine is what controls the intake and exhaust gasses from entering and leaving the combustion chamber during the combustion processes. In this image the cylinder head has been partially removed so you can see how the camshafts work with the valves. Here is a cutaway of a cylinder head which shows the intake and exhaust ports which are controlled by the valve in each port. These valves seal the combustion chamber so when the piston is travelling upward it can create compression for the combustion process. A timing chain or belt is used to turn the camshafts which open and close the valves. This chain or belt is designed to keep the camshaft in perfect correlation with the crankshaft and turns the camshaft one time for every two times the crankshaft turns. This chain or belt runs from the crankshaft to the camshafts. 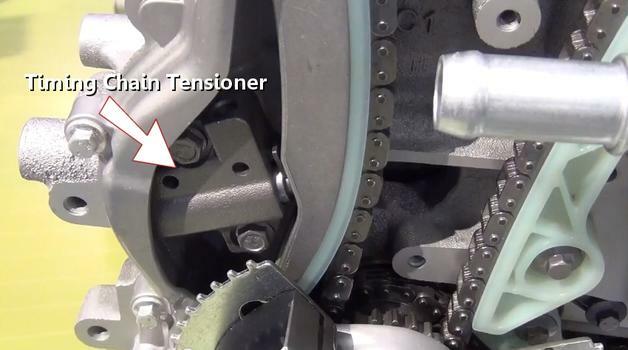 A tensioner is used to keep the slack out of the timing chain or belt which is necessary to hold the chain or belt from jumping time while the engine is running. 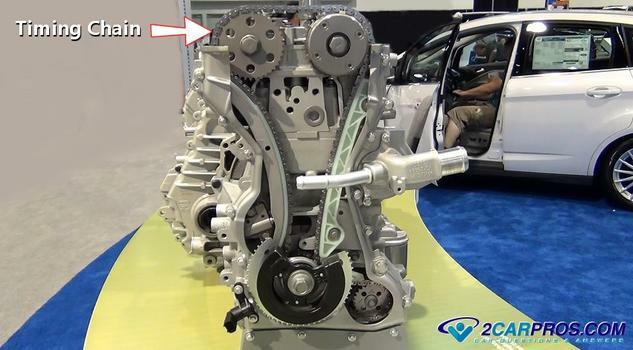 The timing chain or belt is driven at the crankshaft using a drive gear near the front main seal and harmonic balancer. The engine is basically a large air pump that burns fuel. 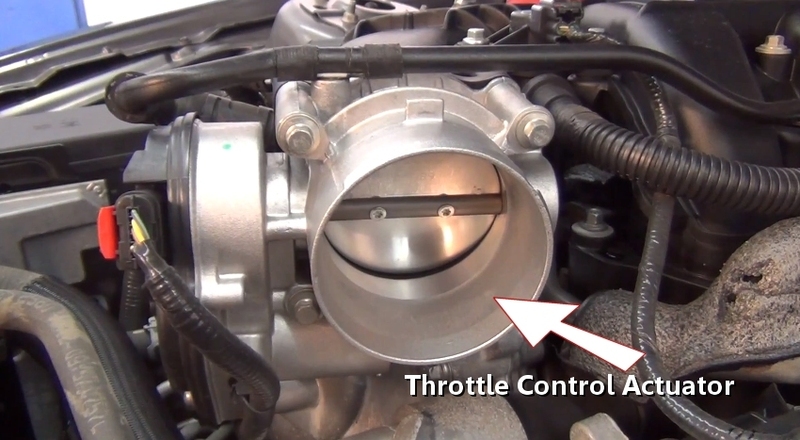 The process begins at the throttle bore which is connected to the intake manifold. This is where the engine air is regulated. The engine speed and power is controlled by this device which opens to allow more air inside creating additional power and then closes to shut the power down. This air flow is monitored by the mass air flow sensor and cleaned by the air filter. Once air has passed through the throttle actuator it enters the intake manifold where it is divided and separated among individual cylinder intake ports within the cylinder head. The air is then controlled by the intake valve. This manifold bolts directly onto the cylinder heads and can be made of plastic or aluminum. 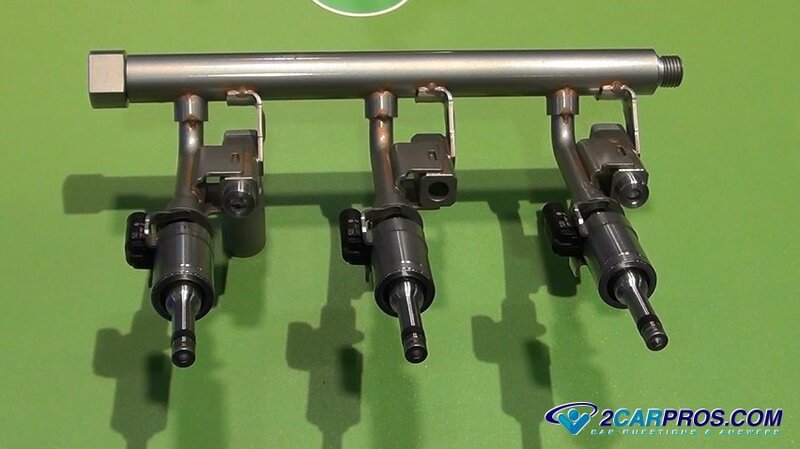 A fuel injector is used to control and meter the amount of fuel that enters the engine at any given time. While the engine is under load and more power is needed a command for more fuel is given by the car's computer (PCM). The fuel injector is part of the fuel injection system. In the image below there is a set of direct injection fuel injectors which spray fuel directly into the combustion chamber near the time of ignition unlike the traditional fuel injectors which spray into the intake port just behind the intake valve. 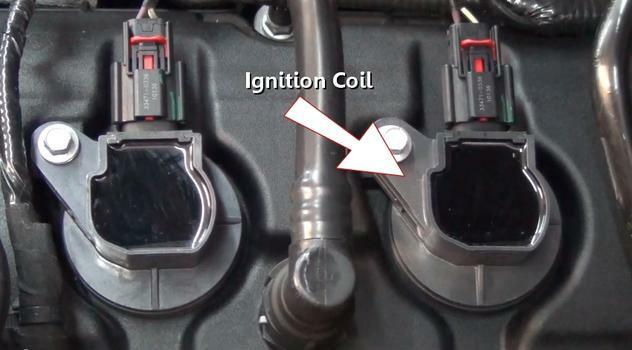 After the fuel air mixture is compressed an ignition coil supplies a high voltage, low amperage charge to the spark plug. This process is also controlled by the cars computer which gains reference to each pistons position using a crankshaft angle sensor. An oil pump is used to pick up oil from the oil pan and pump it throughout the engines internal moving parts. This pump can be driven by a variety of ways, this particular pump is driven by a chain at the front of the crankshaft. The oil pump determines the amount of oil pressure the engine will have using a pressure spring fitted into a relief valve of the pump. 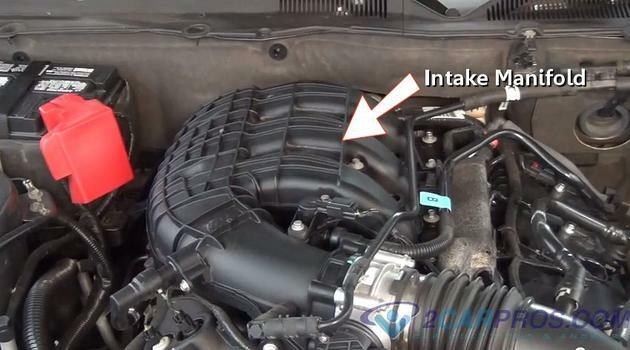 Engine coolant is used to help keep the engine cool while running by using the cooling system. This coolant is circulated inside the engine block and cylinder heads to keep the engine's heat from causing internal damage. 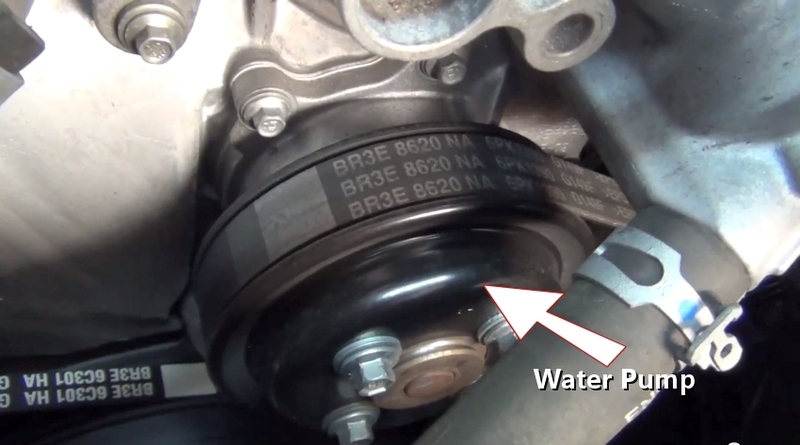 A water pump is used to move the coolant into the radiator to be cooled and then transferred back into the engine so the process can start over again. If you have any engine please visit our forum. If you need car repair advice, please ask our community of mechanics is happy to help you and it is always 100% free.